Now being an official Fanatec partner, SimRacingGirl introduces the soon to be available Fanatec CSL Elite Steering Wheel McLaren GT3. 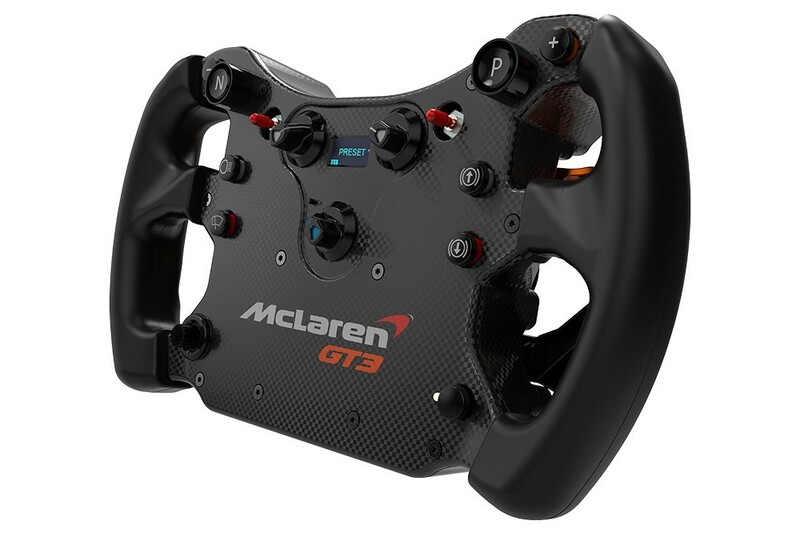 The Fanatec McLaren GT3 wheel is a replica of the original steering wheel used in the McLaren GT3 racer and features all the switches, paddles, dials from the real-world GT3 wheel rim. 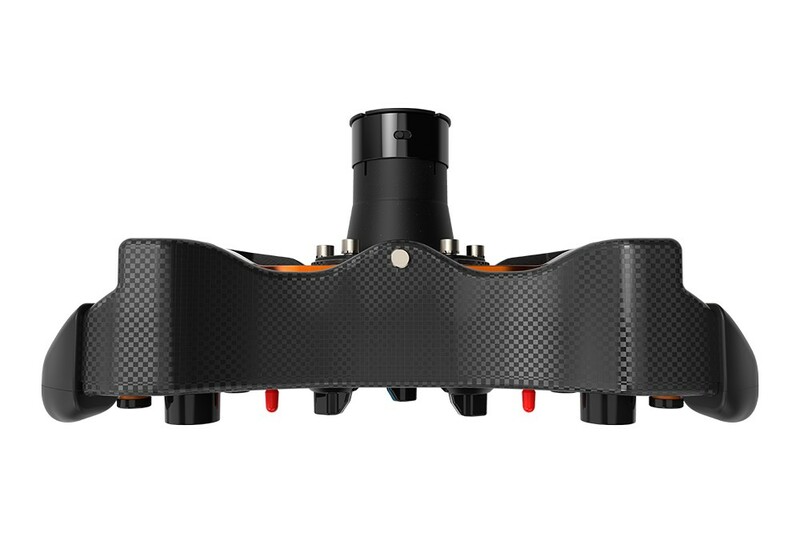 With this new wheel, Fanatec also introduces its first ever dual-clutch system with analog clutch paddles and rocker type shifter paddles. The paddles are made out of anodized aluminum and feature a snap-dome function. 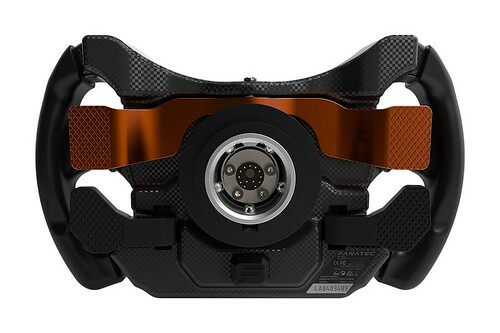 The Dual-clutch system’s bite-point mode allows you to determine the optimal bite-point before the start of the race and utilize the perfect start every time. Bite-point mode, Handbrake mode, gas/brake mode and binary button mode are all available from the mode encoder in the center of the steering wheel. One of the clutch paddles can be set to handbrake mode. It maps one clutch paddle as an analog handbrake axis. Furthermore, the McLaren GT3 wheel introduces a new exchangeable Quick Release system which let you upgrade the included simplified CSL Quick Release for the optional ClubSport QRA in no time. The Allen key for the CSL QR is stored on the wheel. 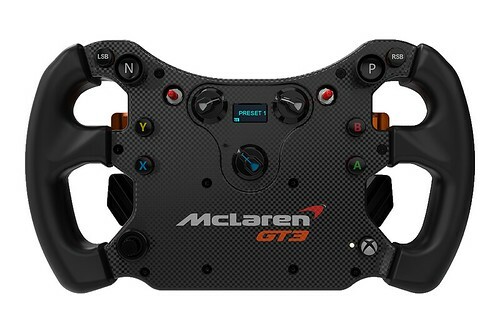 The Fanatec CSL Elite Steering Wheel McLaren GT3 will soon be available at the Fanatec Webstore for 179.95€ Incl. 19% VAT. 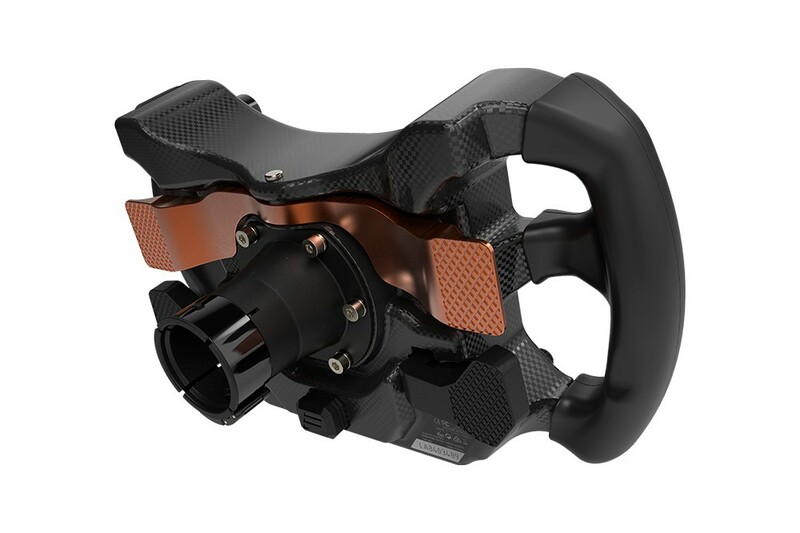 Xbox One: If connected to this steering wheel, the above-mentioned wheelbases will be compatible with Xbox One. PC and other Platforms: The specifications of the compatible wheelbases will remain unchanged. Connect your Wheel Base to a PC and install the latest driver to update the wheelbase firmware before you mount the CSL Elite Steering Wheel GT3.